Are you using a fax scanning program to automatically read and process incoming faxes? Programs like CampMinderFax utilize fax scanning programs. We can set up your account to receive all incoming faxes as a TIFF file. Specifically, these programs read the barcode on a page and send it to a specific file, or redirect it to another user. No extra effort is required from the person sending the fax. Our servers will automatically convert toe incoming fax to a tiff. You can transfer your existing fax number or choose a new one, same low cost. The default program, and usually the best option for readability and printing, is a PDF. All accounts at FAXtopia default to the PDF format. We can change this to a TIFF at your request. No additional charges or changes in terms. 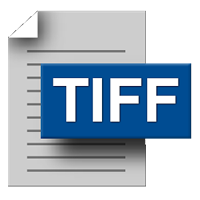 We would like to make this caveat; TIFF files can be a little less clear and print off a bit fuzzier, depending on your printer settings. However, we have many customers using our TIFF faxes with automated scanning software and the service works fine. Feel free to call us with any questions or to set up your fax number.